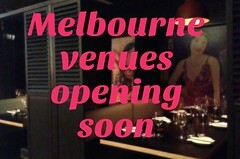 melbourne gastronome: O Cutler! My Cutler! 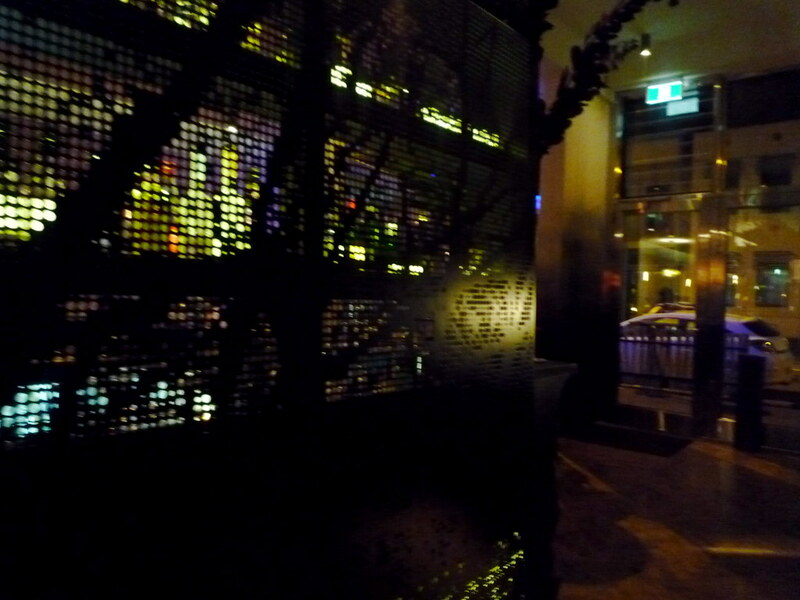 Best-friend-K and I had dinner at Cutler and Co on Saturday night: partly as a consolation prize for missing out on tickets to the MFWF David Chang dinner (it's still a very painful topic for me to talk about. Maintain the #MOMOFUKURAGE, twitterfolk! ), and partly because on Saturday night we were going to see The Road at the Nova beforehand, so we'd figured we'd need some cheering up after sitting though the grim, post-apocalyptic bleakness of the film. Uh, we weren't wrong. A few weeks ago, Melbourne Gastronome reader @Barbarella1978 asked on Twitter: "Is it bad that in meditation terms my 'happy place' is cicciolina back bar?" 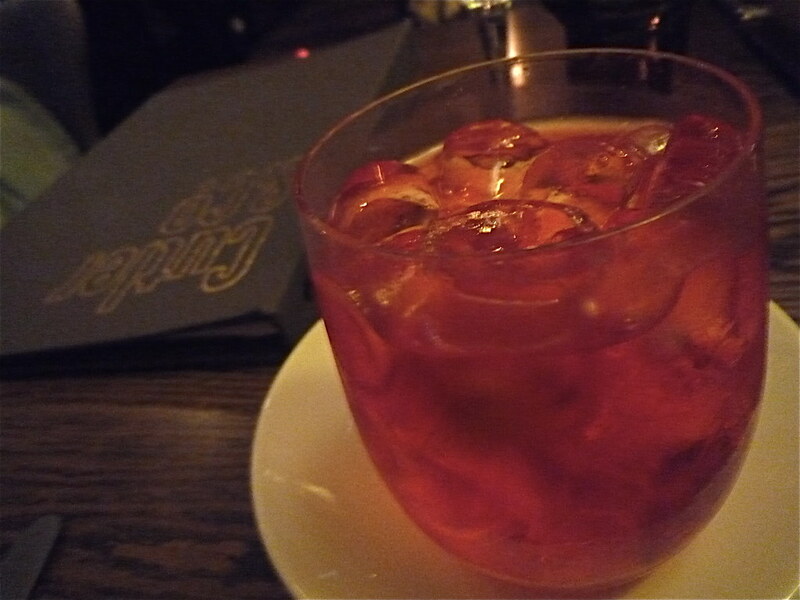 I'm pretty sure I feel the same way about both the front bar and back restaurant of Cutler and Co.
We started, as has become customary for us at Cutler, with a flawless, damn stiff negroni. We then had a trio of Moonlight Flat oysters ($3.50-$4 each, clockwise from bottom left): a Petit Clair, a Clair de Lune Bouton and a Rusty Wire. 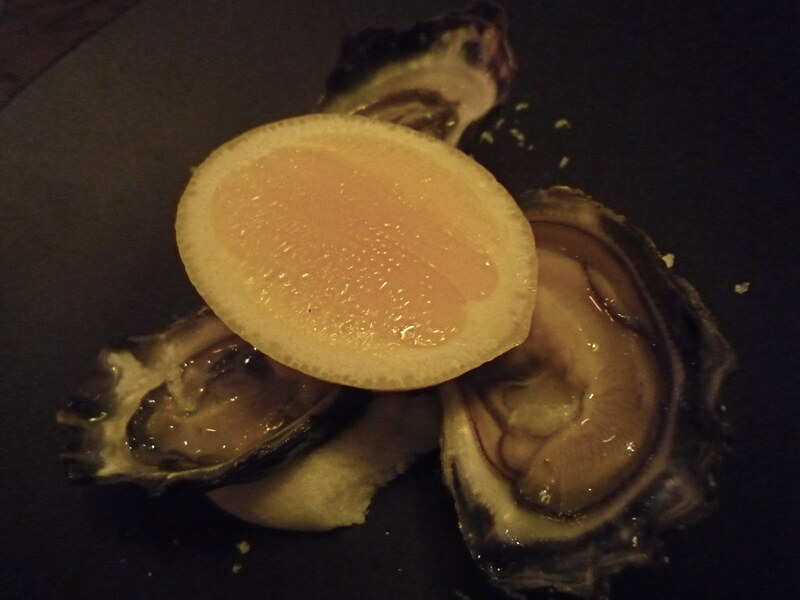 I learned all about these oysters at the Oyster Masterclass held by Cumulus Inc and Moonlight Flat Oysterage at last year's MFWF (they're holding it again this year - if there are still tickets available, it's an event I highly recommend to you). Oddly enough, despite my fondness for it last time, I really didn't like the Petit Clair... but I loved the other two. We were having difficulty making up our minds about which entrees to order, and considered ordering the Entree Selection ($39 per person). 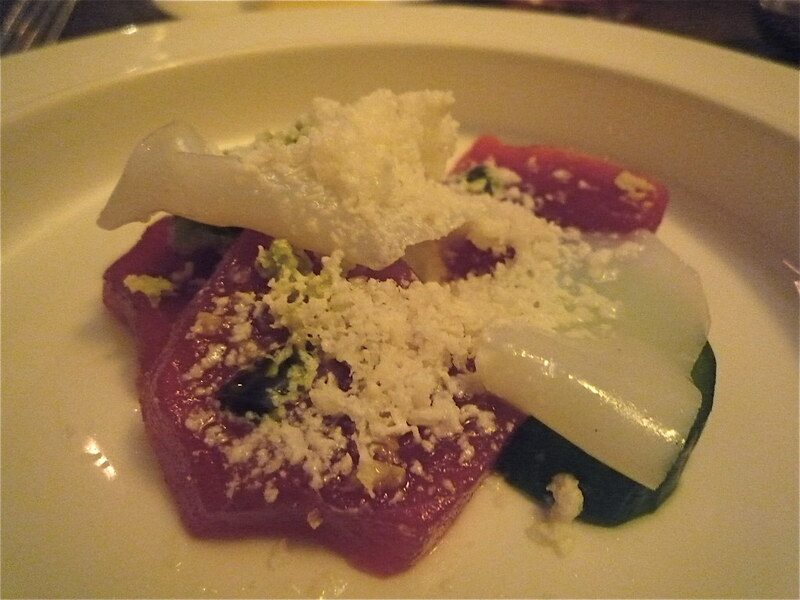 Our decision to order it was made once we learned that a dish from the degustation-y Menu Selection (that is not on the regular entree menu) was also included in the Entree Selection: tuna sashimi with buttermilk snow and fresh wasabi. BUTTERMILK SNOW, you say? Andrew McConnell, you cheeky devil. It was so so so good. The sashimi was crazy fresh, the buttermilk snow was wonderfully cold and sour creamy, and the fresh wasabi was contrasted with pickled cucumber and thinly sliced cuttlefish. Definitely recommended. 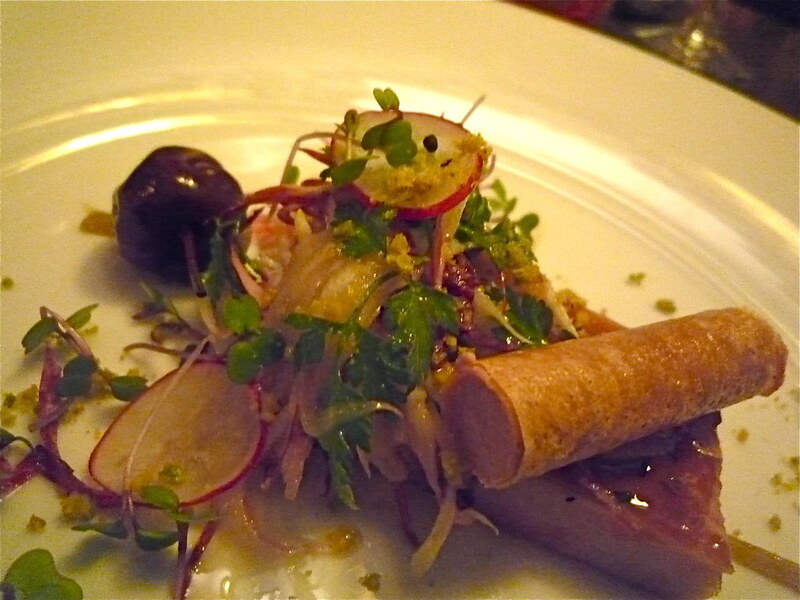 Included next in the trio of entrees was the pressed quail terrine, fois gras cigar, orange and pistachio. 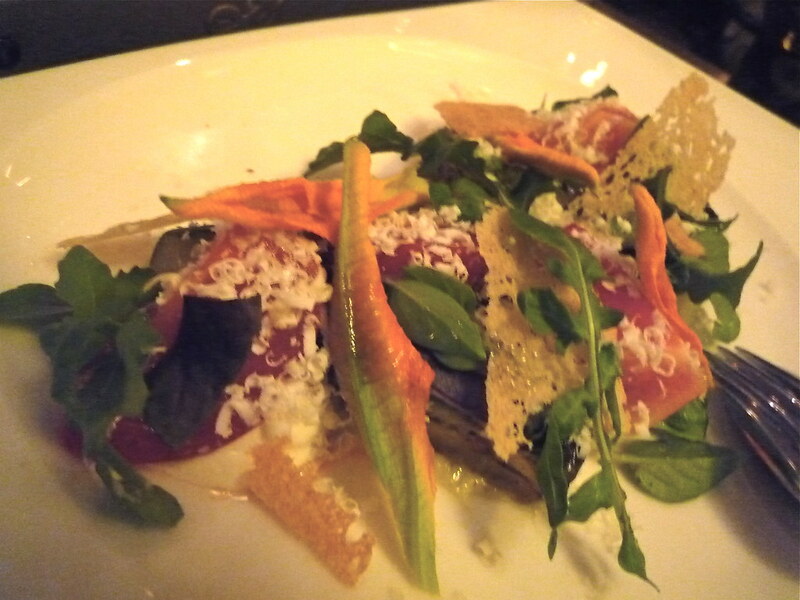 The terrine also features on the bar menu, and I'd loved it when I ate at the front bar in November. It's a great terrine, and it tastes so lovely with the piquant sour cherry and the pistachio crumbs. A wonderful addition to the dish is the cigarillo of Tunisian brik pastry filled with parfait de fois gras that had so delighted b-f-K and me, in a different dish, on our first visit to Cutler almost a year ago. The last of the Entree Selection dishes was an heirloom tomato salad with marinated vegetables, fromage blanc, tarragon and almond aillade. Again, very similar to a delicately flavoured dish I ordered in November from the bar menu. Only this time it contained marinated zucchini and eggplant, and the freshest, loveliest zucchini flowers. As well as a few varieties of tomato, the salad also contained different kinds of basil. While we were waiting for our shared main course to arrive, a few extra nibbles arrived compliments of the kitchen (one of the benefits of Adam, who was running the restaurant floor, recognising me!). We were given a few of the mouth-watering crostini with chorizo, octopus and aioli, which I've also previously enjoyed on the bar menu. 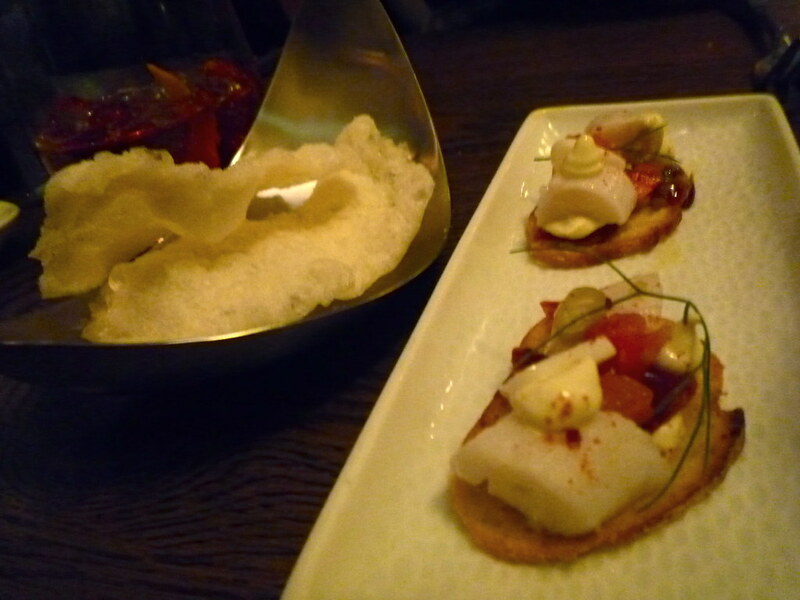 But we were also brought out a few cheese crackers, which I'd never tasted before from the bar menu - they had the texture of prawn crackers, but the taste of parmesan. Delicious and moreish. Given that we'd had oysters and several entrees and intended to order desserts, we'd wisely decided to share just one main course. We'd been intrigued by the sound of the vegetarian one, fatayar pastry filled with globe artichoke, fetta and almonds ($32). 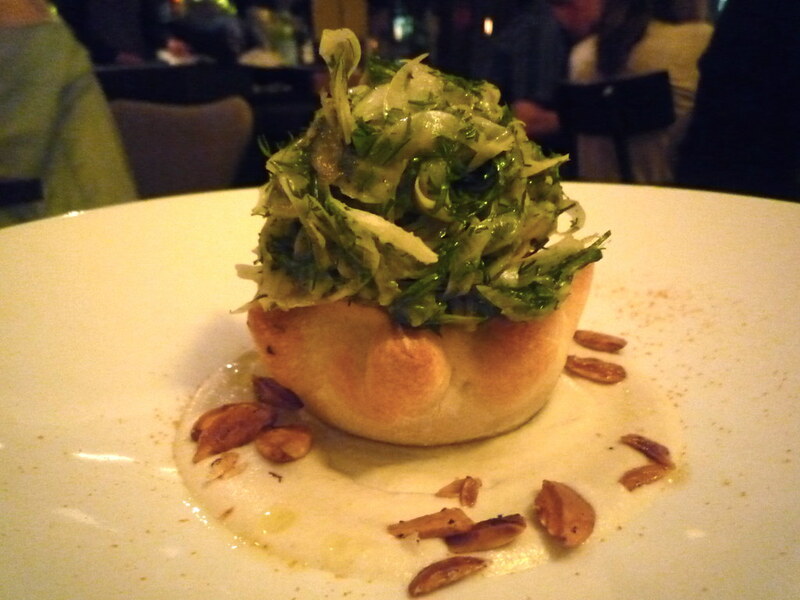 The pastry was exceptional - crispy but slightly chewy, and not at all soggy on the underside - and we also really liked the salad on top of shaved fennel and dill. We eyed the dessert menu. Alas, gone are the ginger granita and the toffee apple dessert that I previously loved, but I was very relieved to see that the ice cream sandwich with vanilla parfait and salted caramel remains. It'll be a sad, sad day if the ice cream sandwich is ever removed from the menu. We couldn't decide between two of the desserts (all of which are $17 or $18), so our eminently capable waiter offered to organise a half serve of two different desserts for us to try. Charming suggestion. And then they went and sneakily brought out an additional dessert for us to try, compliments of the kitchen! 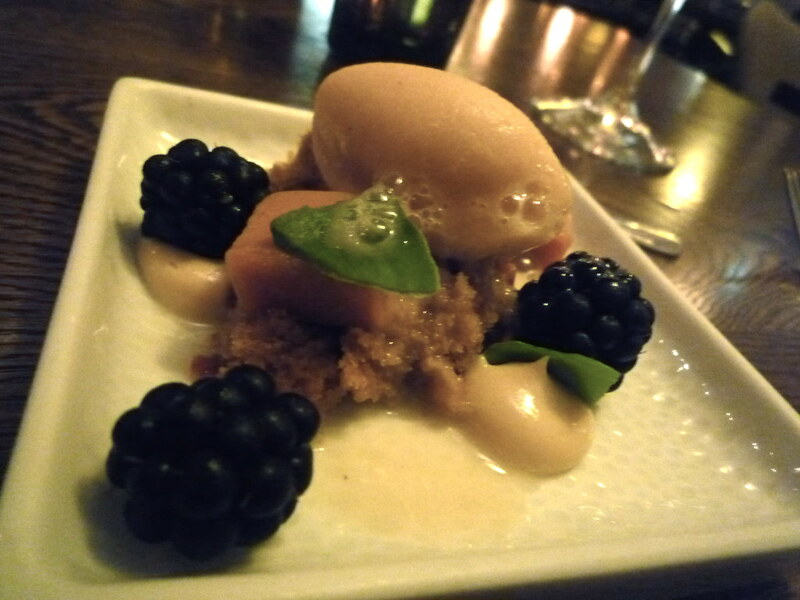 The additional dessert is described on the menu as "blackberries, banana sorbet, brown sugar and coffee cake". All of which were lovely. What the menu doesn't mention is the amazing "milk jam" that tied the whole dish together. Such a great texture, and that soft cake and banana sorbet were stunning. The first of the desserts we actually ordered was the one with sheep's milk frozen yoghurt, coconut, poached with peach and black olive nougatine. Don't let the olive thing throw you - I promise you, it WORKS. The other dessert we'd ordered was the violet ice cream with chocolate ganache and sour cherry. Our waiter had had to persuade me to order it - after a sub-par lavender ice cream experience a few months ago, I wanted to steer clear of "floral" ice cream. But wow am I glad he talked me into it - you MUST try this violet ice cream, the flavour is just magical. 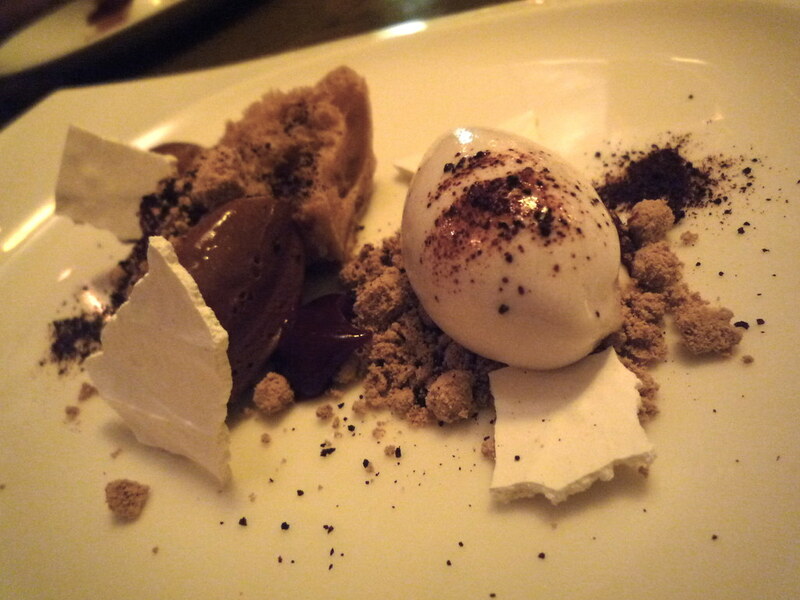 I also really loved the elegant ganache and the little pieces of meringue that looked like chips of plasterboard. WIN. To enjoy with our dessert(s) I'd ordered a glass of Les Larmes Célestes 2004 (Pacherenc du Vic-Bilh), because I'd loved it so much when I had it in December up at Guillaume at Bennelong. Our waiter also took the liberty of bringing us each out a tasting glass of sweet sweet Madeira, to go with the banana sorbet dessert. Such a memorable meal. Such a great restaurant. I'd agree the food is very, very good. Having eaten there twice now (once at bar and the other in the dining room), I've decided it's not the place for me and I'm not on the C&C train. Perhaps being recognised helps, as on both occasions the service has been patchy and in parts, sadly lacking. Last visit, I waited 5 minutes for my jacket to be found. I must also be a young fogey, and out of touch with what's acceptable, as I've found the dining din, and consequent need to speak in a raised voice, offputting. Oooh goodness! That does all look lovely. I've never dined at Cutler & Co but this review has piqued my interest considerably! 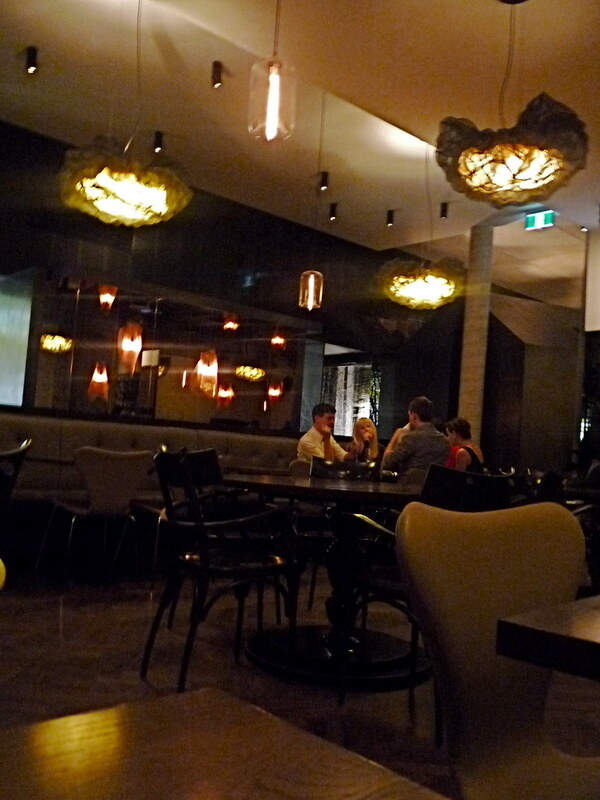 I did the degustation there late last year and thought the service was attentive and friendly. Not suprisingly the food was fantastic as well. I had matched wines as well which was a lot of fun too. 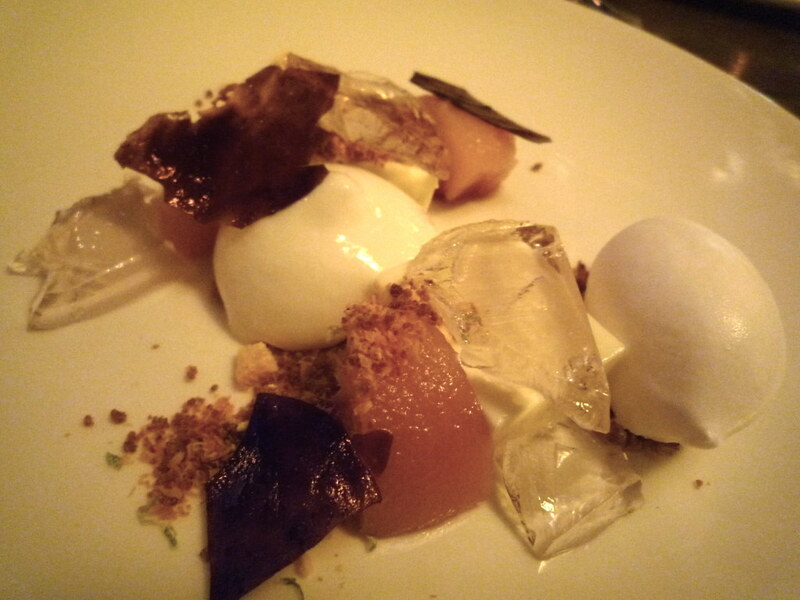 You'd be hard pressed to find better desserts anywhere else at the moment. That's it. From now on, I'm going to YOUR happy place. Hi Claire, I dont say this enough so I'm sorry, actually I dont think I've ever said it but thats not the point, the point is: I really enjoy your reviews & feel like I'm getting my Melb hit through reading them. We dined there on Friday and can only agree about it being a great restaurant. The food was superb and service exemplary. I also received some of the cheese crackers (which have a tapioca flour base like prawn crackers - hence the similarity) and the crostini with the melt in the mouth octopus as a little something extra. I think you will get a great meal here always. How did you like the lavendar jelly after your previous encounter with the lavendar ice cream? The food looks stunning. I am loving this current presentation 'fashion' we are having right now - with the artfully haphazard components of a dish draped around the plate as if they just fell that way. 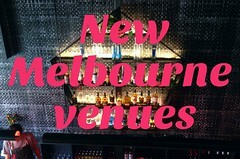 I wonder if it's just a Melbourne thing or worldwide? And what will be the next big thing? The service just isn't consistent, and therefore fails imo. Maybe it's not my match - big white plates. The food is good in every aspect, but at the price point and pomp it has to step up and deliver.